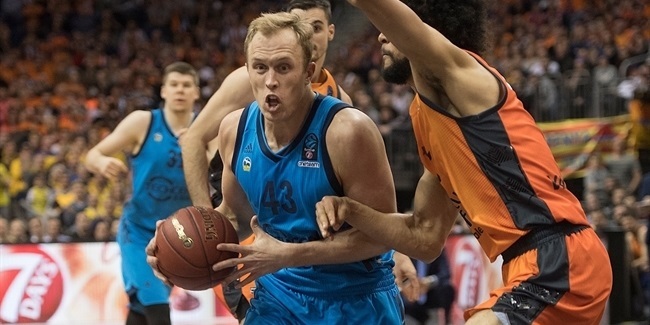 ALBA Berlin has reached the quarterfinals with the 7DAYS EuroCup's best offense and averaging a historically-high number of assists. And now it is set to get back one of the competition's top point guards in Peyton Siva. ALBA recorded a resounding road win at Lokomotiv Kuban Krasnodar in the regular season, but it was its 86-94 road overtime win over Rytas Vilnius that paved ALBA's way to the position where it is right now – in the EuroCup Quarterfinals with home-court advantage. Niels Giffey forced overtime with a jumper with just 3.6 seconds left in the fourth quarter, before Stefan Peno and Rokas Giedraitis took over in the extra session. That win improved ALBA to 2-1 and started the team's current four-game winning streak. Giedraitis finished as ALBA's top scorer with 23 points against his former team and Luke Sikma collected 19 points, 12 rebounds and 6 assists in that victory. Combo guard Martin Hermannsson has served as a perfect compliment on the perimeter to either Peyton Siva or Stefan Peno this entire season. Both point guards eventually went down with injuries, but the 24-year-old Hermannsson's ability to take over the playmaking duties himself has left the team in safe hands. The young guard from Iceland missed four regular season games with an injury himself, but delivered prior to the ankle sprain and after. With 13.7 points per game on 50% shooting behind the arc along with 4.5 assists, 1.8 rebounds and 1.1 steals, Hermannsson has been one of the keys to ALBA's success. ALBA has been very unlucky with injuries to its point guards this season. 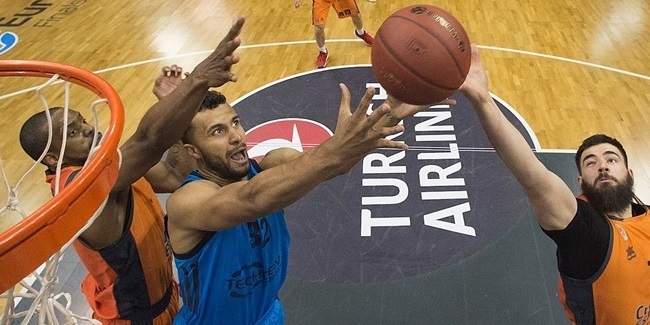 Peyton Siva, a EuroCup would-be assists leader and the team's scoring leader (14.8 ppg., 9.7 apg. ), has played in only six regular season games due to a pair of injuries. His replacement Stefan Peno (4.8 apg.) will be sidelined for months after suffering a knee injury prior to the Top 16 finale. However, Siva has returned to the floor in domestic action and the availability of one of the competition's top playmakers mightily boosts ALBA's chances. Any team with the competition's best offense always has reasons to believe it can go all the way. Enter ALBA, your EuroCup leader in scoring with 87.4 points per game and on pace to break the competition all-time record with 23.1 assists per contest. ALBA is one of five teams making more than 40% of its three-point shots (41.1%) and has the second-best assist-to-turnover ratio (1.70). ALBA's offense can clearly outscore any opponent and Coach Aito Reneses Garcia's side is 6-2 in the German capital this season and has home-court advantage for this series.